Are there enough B’s in that title for you? I can think of more. Brown sugar, beautiful, bouncy, beyond good. 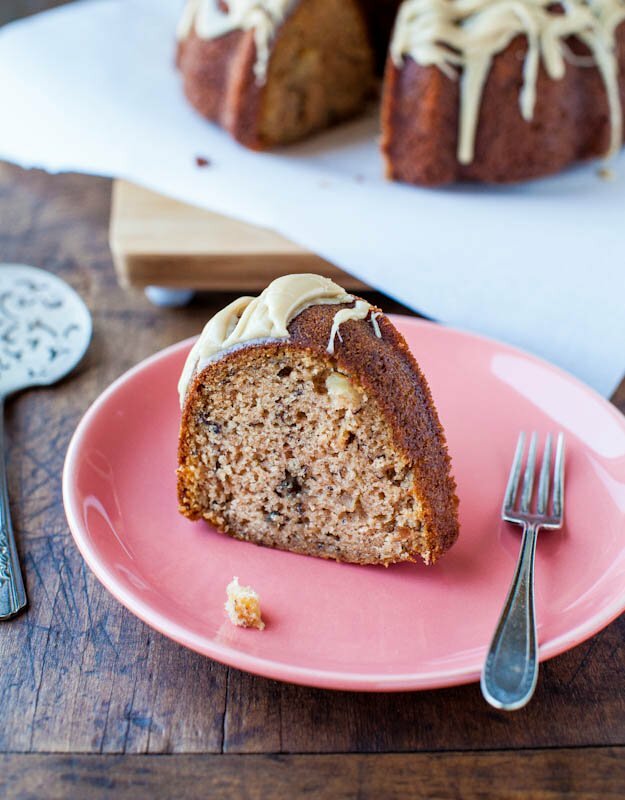 Anytime you take the tenderizing and fluffing effects of buttermilk, combined with the richness, nuttiness, and depth of browned butter, add sweet ripe bananas, cinnamon, vanilla, and brown sugar, the results won’t be bad. In fact, you’ll be happy when your bananas start to turn brown. 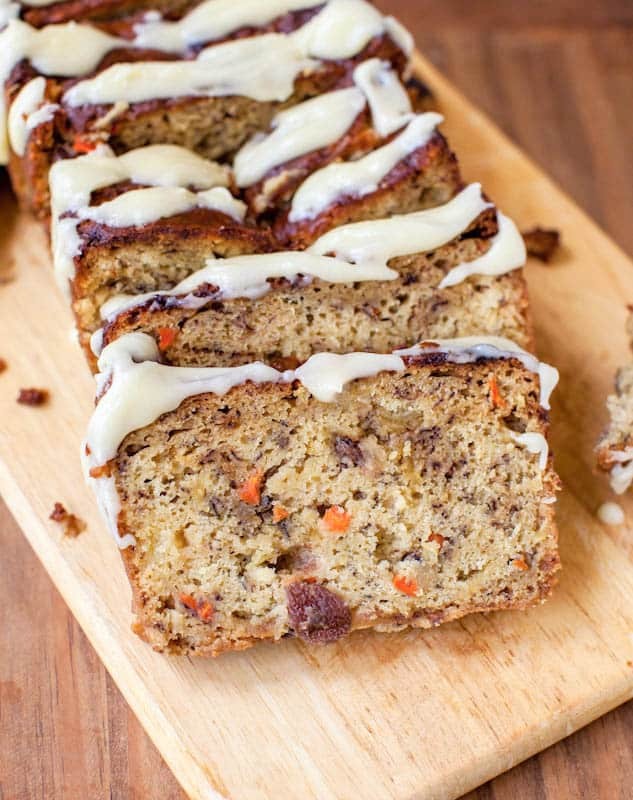 Although I would not change a thing about my go-to Banana Bread with Vanilla Browned Butter Glaze recipe, I had some leftover buttermilk after making the Carrot Cake Loaves and it had bread-making written all over it. So I decided to deviate from my usual recipe with this. 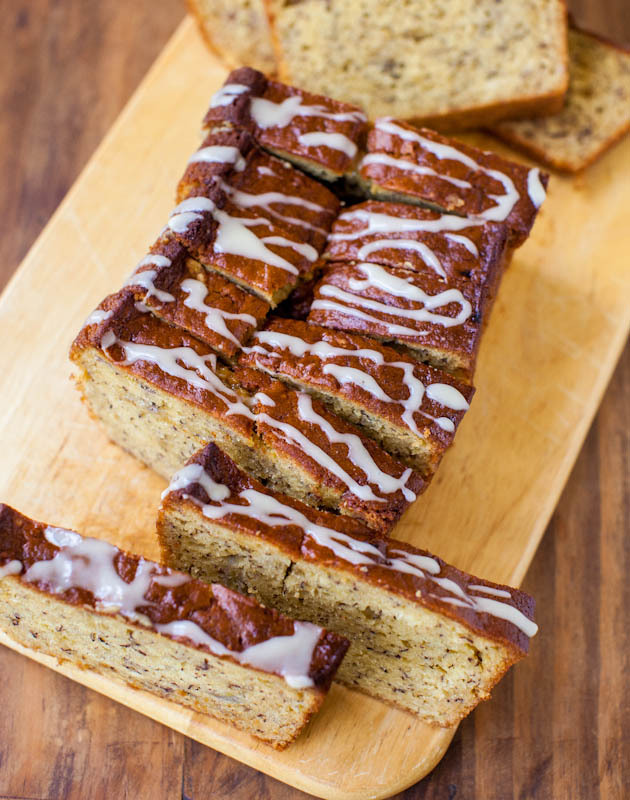 Normally I use yogurt or Greek yogurt in my banana bread and using buttermilk is different, yet the same. They’re both cultured milks and tenderize and moisten the bread, but buttermilk seems to make it fluffier, whereas yogurt (or sour cream) makes it denser. Both make it scrumptious. If you don’t have buttermilk on hand and don’t want to buy it for a recipe that calls for a small amount, you can make a cheater’s version by adding one tablespoon of white vinegar or lemon juice to one scant cup of milk. Let it stand for about 10 minutes. The milk will sour, and then use it as needed in place of buttermilk. Not a method I’d suggest for fancy cake, but for 3/4 cup for a loaf of banana bread, perfectly fine. I started by browning butter and in my usual recipe, I use melted butter. Although that’s fine, and you can do that with this recipe too, the whopping four minutes it takes to brown the butter first is highly recommended because it adds unparalleled depth, richness, and flavor. Kerrygold was nice enough to send me some butter and it’s burning a hole in my refrigerator. I’m inventing recipes that use butter, just to use butter. And buttermilk. Help. I’ve talked at length about how to brown butter in here, here, and here. It’s a three to four minute process of heating the butter over medium heat, and after the butter melts, stops being noisy, foaming and hissing at you, tiny brown flecks will appear. That’s crunchtime. Remove the pan from the heat while continuing to stir or swirl the pan so that the butter doesn’t continue to cook and go from browned to burnt. Pour the browned butter into a large mixing bowl and to it add the sugars, eggs, buttermilk, vanilla, cinnamon, and whisk until it’s smooth. I don’t like banana bread recipes that require creaming ingredients because it’s one more step and one more reason to talk myself out of making something if I know I have mixer dishes to do later. I always try to use the whisk method first and foremost. My grandma never even owned a mixer and she was an amazing cook and made the best banana bread I’ve ever had. 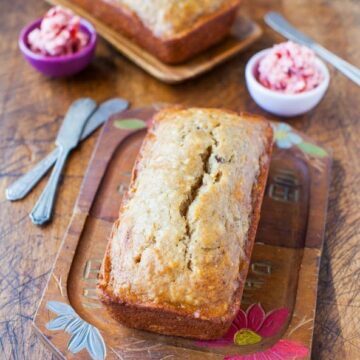 Many banana bread recipes call only for granulated sugar, but I like to add a bit of brown sugar to boost both the moisture content, softness, and overall flavor. I also can’t imagine not including vanilla and cinnamon in my banana bread. Any sweet bread, quickbread, muffin, pancake, waffle, pastry, or danish is fair game for vanilla and cinnamon. I love both of them, probably more than the average person, but I didn’t go overboard. They just round out and complement the existing flavors rather than adding any telltale taste. Add one cup of mashed bananas and the riper the bananas are, the sweeter the bread will be, but they don’t have to be pitch black and on their last leg. Your bread will be extra luxurious if they’re extra dark, but sometimes it’s hard to wait for them to get to that point when you just want to bake. 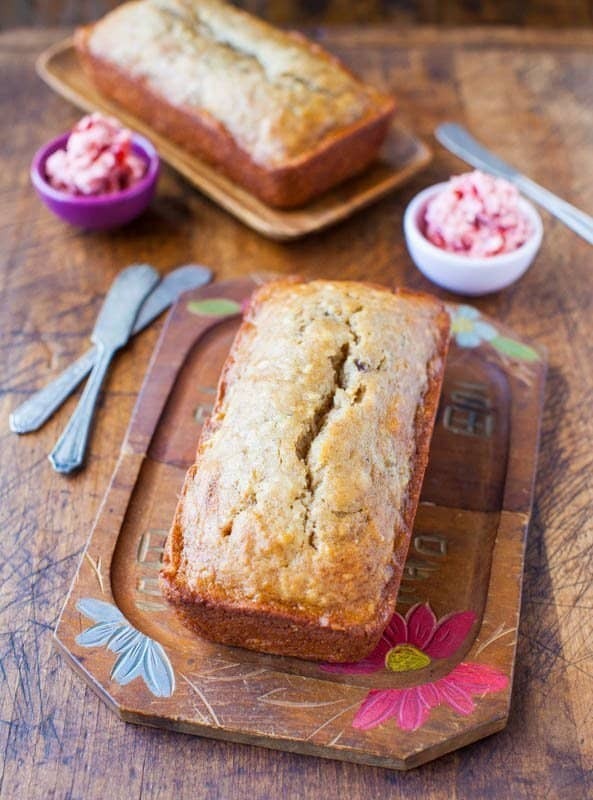 If you like extra banana-ey banana bread, consider using 1 1/2 cups mashed bananas. In doing so, you may need to increase the flour by one-quarter cup, for 2 cups total, give or take. 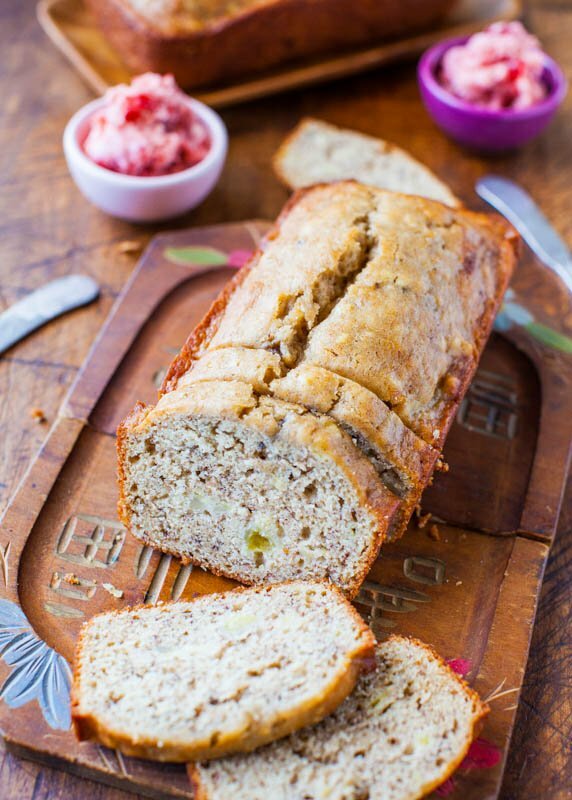 This bread is not bursting at the seams with banana flavor. 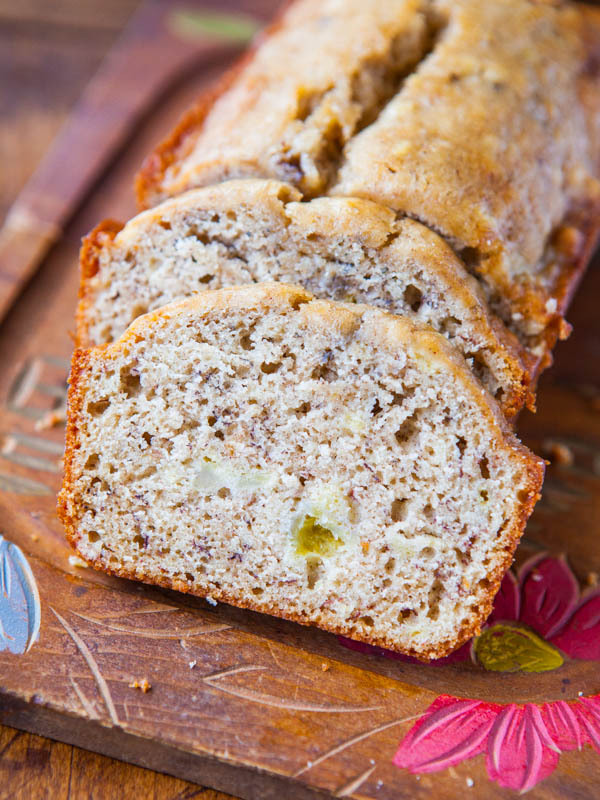 It’s present, but my husband who prefers more subtle banana flavor, prefers this recipe. I prefer this version with one-and-a-half cups. 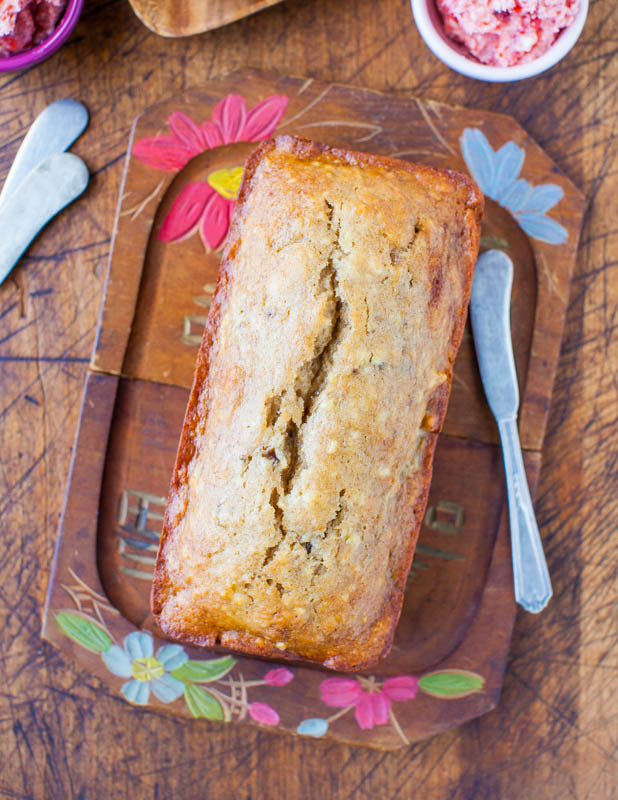 Stir in the bananas with the flour, baking powder, and baking soda. Generally I shy away from baking powder because I can usually taste the chemical components in the finished product and it makes things almost too light and airy for my taste. But it’s an obvious choice in a recipe that uses buttermilk because baking powder and buttermilk react to form big, fluffy, puffy dough like a fluffy stack of buttermilk pancakes. In turn, I reduced the amount of baking soda I generally add by half. I didn’t add salt, because buttermilk is already salty, but add salt to taste if desired. If you’re using salted butter (I used unsalted), you may wish to omit the salt because between salted butter, salty buttermilk, and added salt, you could end up very thirsty. Stir everything together and then divide the fluffy, golden batter into two 8-by-4-inch loaf pans. Baking the batter in various assortments of mini loaf pans, muffin pans, or in a Bundt pan would all work. 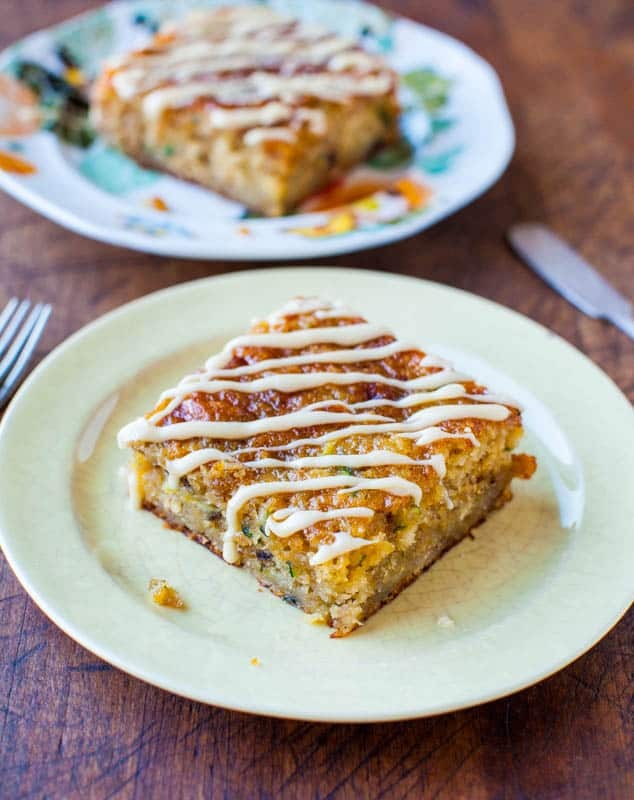 Although you probably could use one 9-by-5-inch pan, by looking at the volume of batter, and knowing that buttermilk-based batters rise quite a bit, I knew two pans was a safer choice. I didn’t want to press my luck and have to clean my oven. Or worse yet, waste butter and buttermilk to the bottom of my oven. Plus, with two smaller loaves, you can freeze one and later when you unthaw it, you can relive the party, minus the work. Or give the second loaf away to someone special. Or happily eat both loaves within a few days. Baking times will vary based on the sizes used. I baked at 350F for 37 minutes for one loaf, and 40 minutes for the other. One had a little more batter in it than the other and my oven runs hotter on one side than the other. Bake until domed, golden, and a toothpick comes out fairly clean. It’s banana bread so it’s not going to come out perfectly dry. While the bread baked, I combined softened butter with strawberry preserves and whipped them vigorously by hand for strawberry butter. Of course you could just put a layer of butter on your bread, then top with a layer of jam, but something about whipping the butter and aerating it, and having it coat the strawberries made the combo taste better than if I kept them separate. I told you I’m making things with butter, just to use butter. The bread is full of rich flavor. 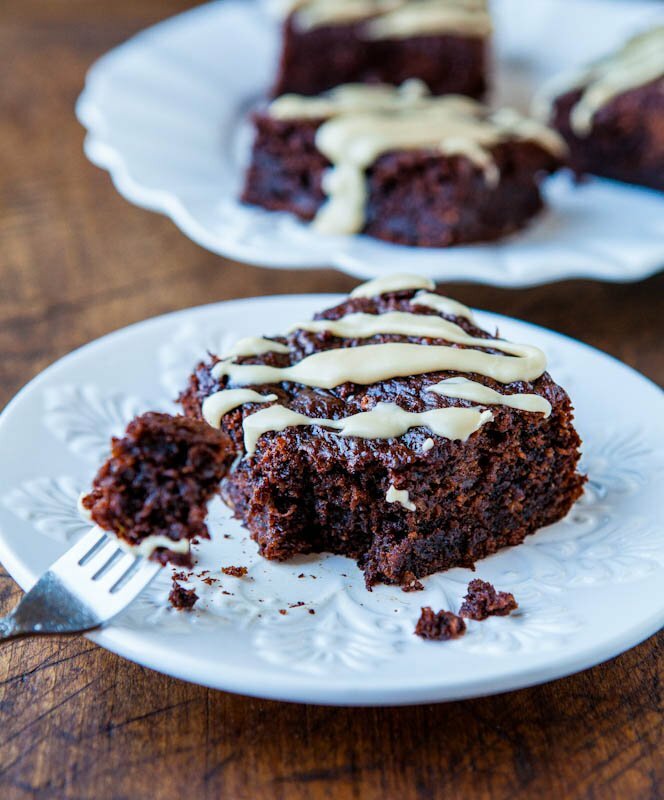 The bananas are complimented by the browned butter and it really adds another dimension, and it’s something that the more I make with it, the less I want to make without it. Butter, buttermilk, brown sugar, bananas. All those B’s add moisture and softness, which is the only way I want banana bread, or any kind of bread or doughy pastry. Who says, oh I would love to have a dry, hard, cardboard-tasting muffin for breakfast. Oh wait, I know. The people who like biscotti. This bread is the opposite. So bouncy and springy. I love the big crack that formed down the center from the steam as it escaped while baking. The crust that’s right near the crack, which is all shiny and smooth, is the bread equivalent of a muffin-top. I love that part and would love to dismantle the loaf, just for those parts. I gave away the second loaf but now wish I would have frozen it for a rainy day. 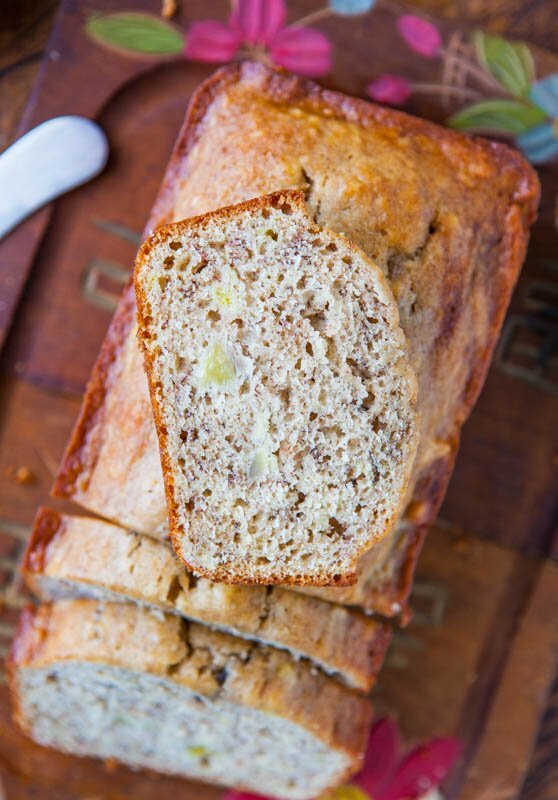 Buttermilk and browned butter are combined to create this banana bread that’s fluffy, soft, moist, and packed with rich, nutty, and deep flavor. Browning the butter takes just a few minutes and makes all the difference in the flavor. The ingredients for the batter are whisked together in minutes, making for an easy and fast quickbread. 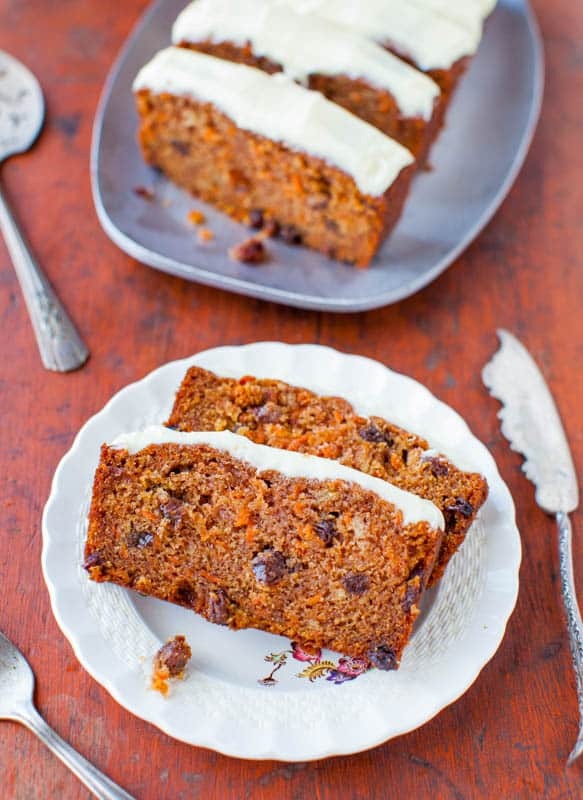 The recipe makes two medium loaves and freezes beautifully for a rainy day, or give one away to someone special. 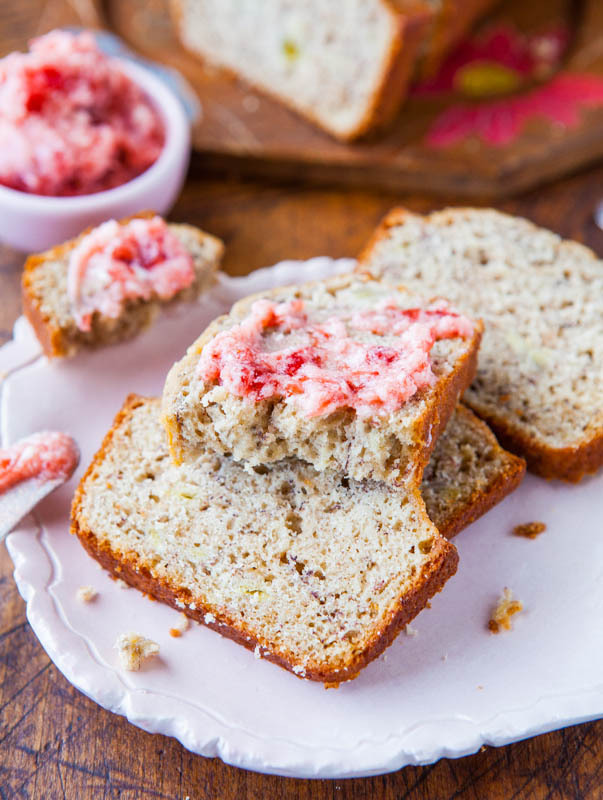 The strawberry butter makes an already tasty and moist bread that much more irresistible – pink food just tastes better. Bread – Preheat oven to 350F. Spray two 8-by-4-inch loaf pans with floured cooking spray; set aside. Bread may be baked in one 9-by-5-inch pan at your own risk; or bake as muffins, mini loaves, or in a Bundt pan, adjusting baking times accordingly. In a heavy-bottomed large pot or skillet, melt 1/2 cup butter over medium-low heat, stirring nearly continuously or swirling the pan. Butter will melt, foam, turn clear, golden, turn brown, and will then smell nutty. As soon at the butter begins to turn brown, take the pan off the heat, and continue to stir for about 1 minute, to ensure carryover heat doesn’t continue to cook and subsequently burn the already browned butter. Pour butter in large mixing bowl. To the butter, add the eggs, buttermilk, sugars, vanilla, cinnamon, and whisk to combine. Add the bananas and stir to incorporate. Increasing mashed bananas to 1 1/2 cups and also increasing flour to 2 cups is optional if you prefer more intensely banana-flavored banana bread. Add the flour, baking power, baking soda, optional salt (buttermilk is already salted, and if using salted butter, and then adding salt, bread could become too salty so use caution here), and stir until just combined, taking care not to over-mix or bread will be tougher as the gluten will over-develop. Turn batter out into prepared pans, smooth tops lightly with a spatula, and bake for 35 to 42 minutes (I baked 37 mins for 1 loaf, 40 mins for the other), or until top is golden and set, and a wooden skewer, cake tester, or knife inserted in the center comes out mostly clean (banana bread is gooey and it won’t come out perfectly clean). If bread is browning too fast on the top, you may wish to lower your oven temperature to 325F in the second half of cooking or tent the pan with foil although I don’t suspect this will be an issue. Allow bread to cool in pan for at least 10 minutes before removing and transferring to a rack to finish cooling. Bread will keep for up to 1 week airtight at room temperature (I wrap my fully cooled bread in plasticwrap, then I place it in a gallon-sized Ziplock). Second loaf may be frozen for up to 6 months. Strawberry Butter – Combine 2 to 4 tablespoons butter with preserves and whip vigorously until combined and fluffed. The softer the butter is, the easier it will be to whip. Quantity may be doubled, tripled, etc. based on need. 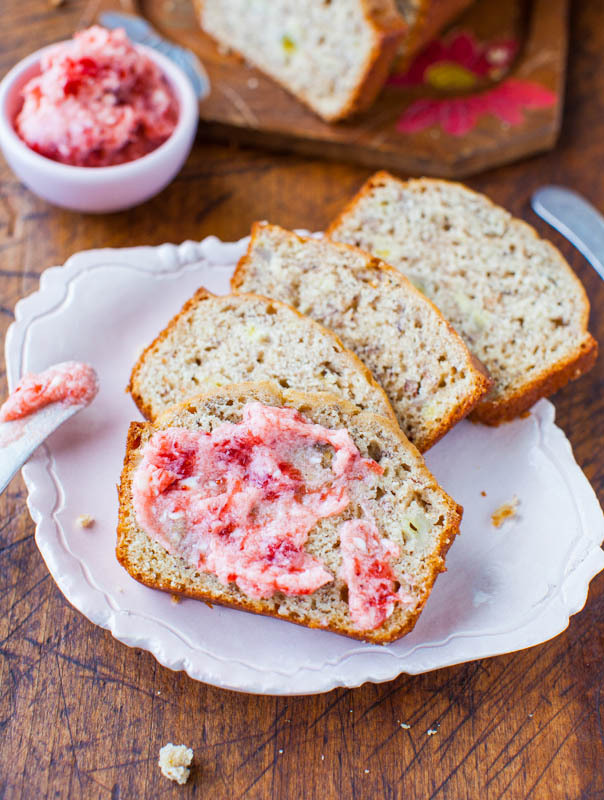 Store strawberry-butter in an airtight container in the refrigerator for up to 2 weeks. Do you ever bake with buttermilk? Browned butter? 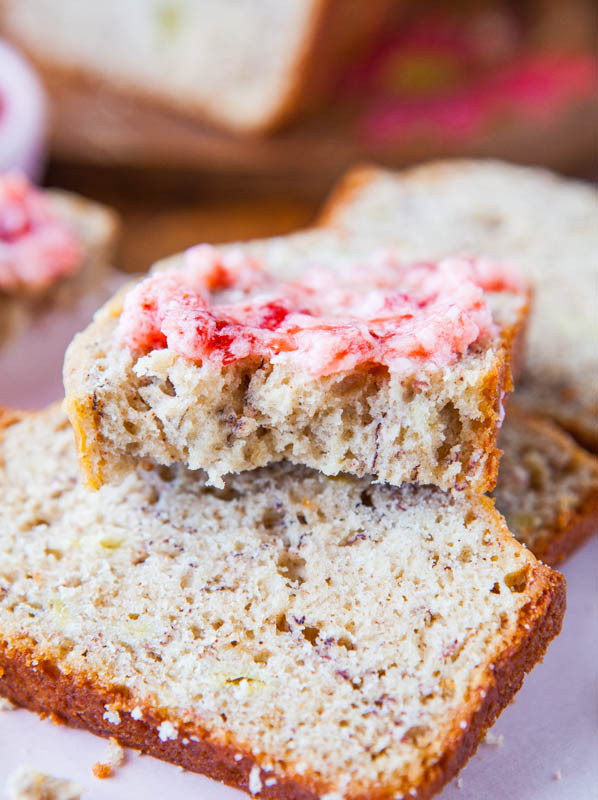 Have a favorite banana bread recipe? Please share links to your favorite recipes. I’m always up for trying new ones. Just made this and it is AMAZING. I subbed 3/4 c of wheat flour and used 1.5 cups bananas, and it is so fluffy and moist and has such a great flavor from the browned butter. I also added some blueberries I had on hand. Thanks for coming back to LMK you made it and that the wheat flour sub worked just fine. Mmm, blueberries sound great too! Thanks for trying out my recipe! Do you think if I used your Vanilla Brown Butter Glaze on this it would be too much (and will they wrap and travel well with the glaze?)? I want to make gifts, but I think I may skip the butter and glaze instead. I think. It was hard choosing one of your banana bread recipes. 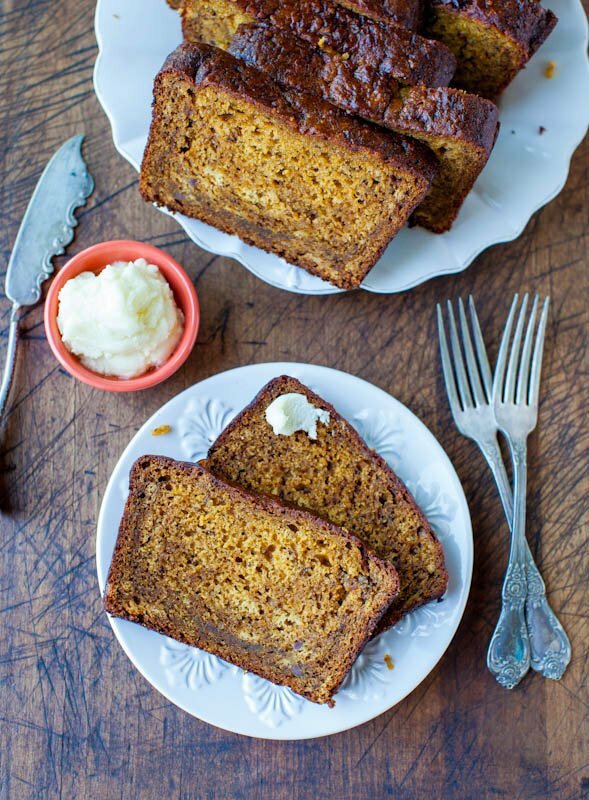 I have been looking for a new banana bread recipe, as the one I make uses sour cream and is, therefore, tangy. That’s fine, and my family loves it. But I wanted to try something different. This bread was delicious! And I’m happy to say this recipe is a keeper! 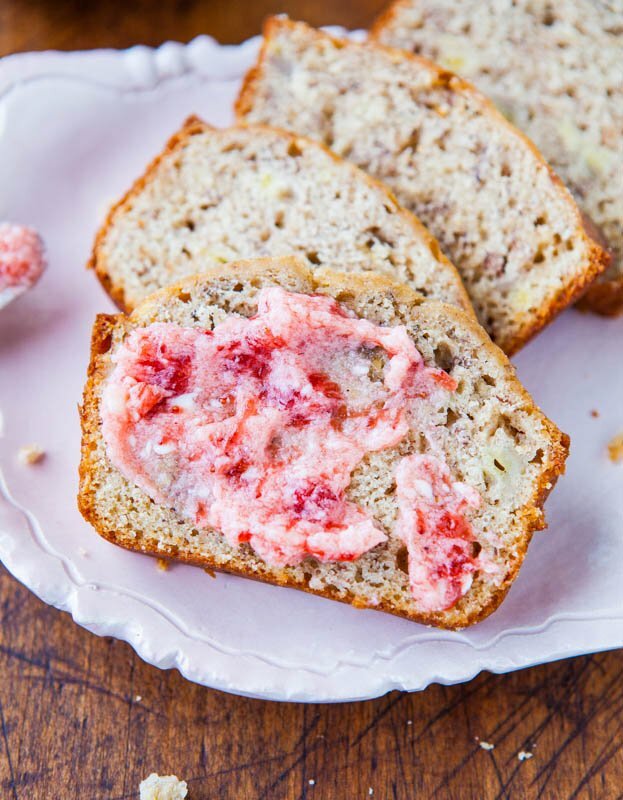 The bread and strawberry butter looks so pretty! Tried this on a whim today (looking up things to do with leftover buttermilk!) and enjoyed the results. The recipe made exactly twelve muffins that took about 19 minutes to bake. I subbed in 1/2 c of whole wheat pastry flour and cut back on the sugar because I like less sweet muffins and they were lovely. Thank you. Thanks for trying this on a whim and glad you’re so pleased! Love that you made it as muffins (12 exactly, how nice!) and that you made some modifications that worked out great for you!